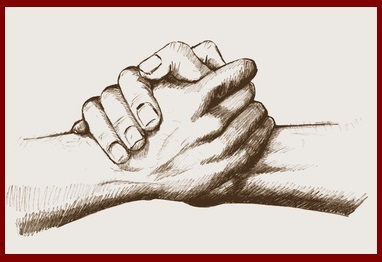 Dr. DeFoore's Healing Anger Newsletter entitled "From Anger To Brave Friendship"
How Do You Move From Anger To Friendship? Anger is an understandable and healthy response to injustice of any kind, including bullying, as you saw in the above video. In order to be healthy, that anger has to be channeled into effective action, which is exactly what those boys did. For example, they may have been angry at the bullies, but they didn't gang up and start bullying them...they became friends with the special needs kid who was being picked on. Most of us have had some feelings of anger in reaction to school shootings and other seemingly random acts of violence. Making friends with outcasts, misfits and other children or adults with difficulties is a healthy way to direct these emotions into a solution. You can also make up your mind to be friendly and inclusive to anyone who looks like s/he could use a friend. This takes courage, and it may not always be received well. But you can do it, with a combination of healthy anger and love! Also be sure you're being a good friend to the outcasts and victims in your own inner world. All of us have felt like a misfit or outcast at some point, and you can use these imagery processes to provide love and protection for those parts of yourself. You can also use the power of your healthy anger to be fiercely determined to be the best friend to others that you can possibly be. Follow the guidelines below to be successful with that. One of the best features of healthy anger is a protective instinct, which comes directly from love. The boys in the video, for example, truly loved their special needs friend, and were very protective of him...in healthy ways. So now let's figure out some good steps to take in order to be a strong protective friend to yourself and others. "There is a powerful protector inside you, and it lives right there with your anger and love. Make friends with that protector, and you will have an ally for life." It takes courage to be a good friend, especially if you're reaching out to someone who seems isolated, and may not be that friendly. You have that kind of courage, and keep in mind that the gift of friendship always goes both ways. You're not doing anybody any favors...it's as good for you as for the other person. First, you have to be a good friend to yourself. I know...tall order. But you're up to it. Learn about self love here. Now let's take a look at the steps you can take to become a strong, protective friend. Learn and practice good empathy skills, so that you can learn to bridge gaps and form connections where they might be challenging. Learn and practice these basic social skills. You have probably noticed that a lot of people don't know or don't use these basic skills...and you can't be a good friend without them. Use mental rehearsal before entering a challenging social encounter, where maybe you're going to reach out to a friend and you don't know what's going to happen. Picture and imagine it going well, no matter how the other person responds. Focus on yourself, keeping your cool and your confidence. That's all you can really control anyway. Work daily to create and maintain a positive attitude about yourself and other people. This is like mental and emotional fitness, and just like physical fitness, you need regular workouts. Remember, you have to be a good friend to yourself if you're going to be a good friend to others. Be a brave champion to some of the many good souls in this world, and you will find rewards beyond measure. This highly effective audio program, available as a CD or MP3 download, will help you transform your anger into a great resource for courage and love. 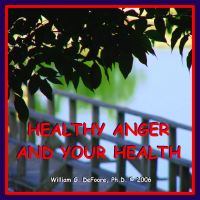 In this program, Dr. DeFoore will guide you through an understanding of your anger and how you can make it work for you instead of against you. Get your copy now. New web pages for you. Read new contributions from good folks like you, such as Scared Wife Of A Suicidal Law Enforcement Officer by a woman who is being held hostage to her husband's threat of suicide, and Former Pushover But Not Any More by a woman who has learned to stand up for herself, but now needs to temper her anger and develop positive relationships.